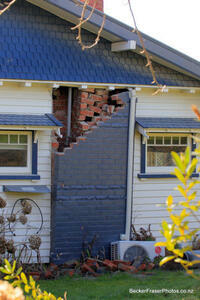 Showing 1 - 20 of 53 results. 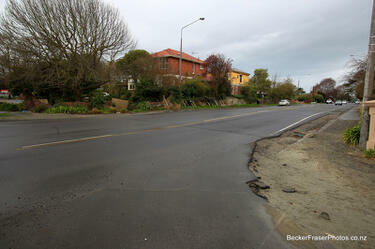 Photograph captioned by BeckerFraserPhotos, "Looking south along Avondale Road to Breezes Road - classified as residential red zone on the right and residential green zone on the left". 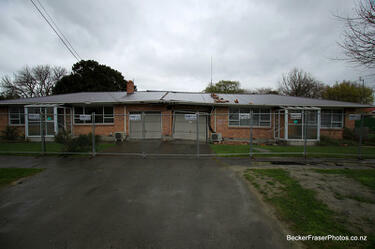 Photograph captioned by BeckerFraserPhotos, "150 Kerrs Road (in the residential red zone)". 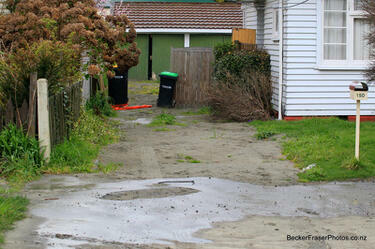 Photograph captioned by BeckerFraserPhotos, "148 Kerrs Road (in the residential red zone)". 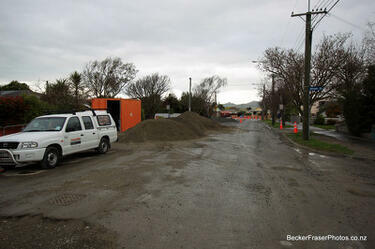 Photograph captioned by BeckerFraserPhotos, "Slumping in Kerrs Road (this house is in the red zone)". 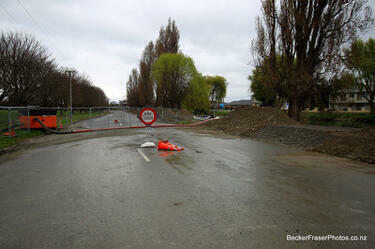 Photograph captioned by BeckerFraserPhotos, "Woodham Road". 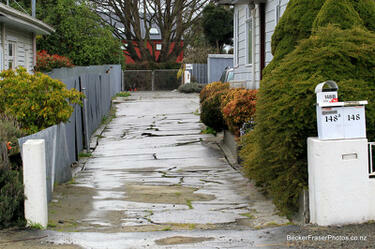 Photograph captioned by BeckerFraserPhotos, "Dallington Terrace. 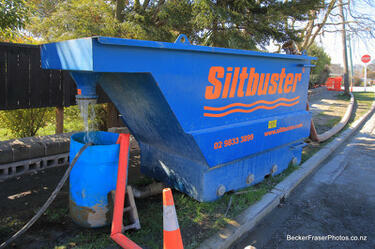 Dirty groundwater is pumped into the Siltbuster, the silt filtered out, and clean water pumped out into the river". 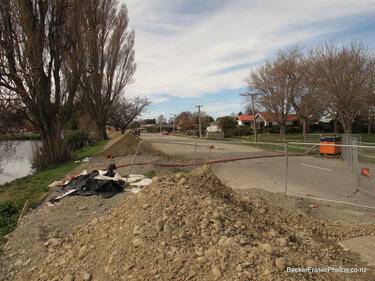 Photograph captioned by BeckerFraserPhotos, "Gayhurst Road". 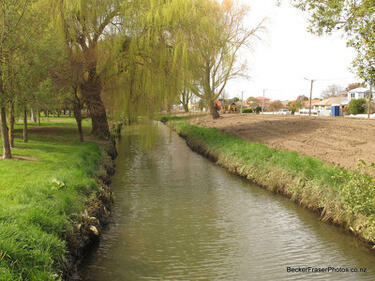 Photograph captioned by BeckerFraserPhotos, "Avonside Drive". 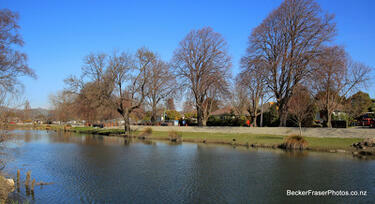 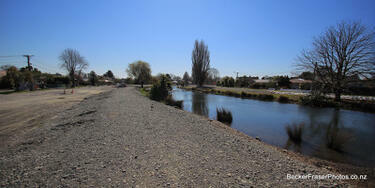 Photograph captioned by BeckerFraserPhotos, "Avonside Drive looking along Kerrs Reach". 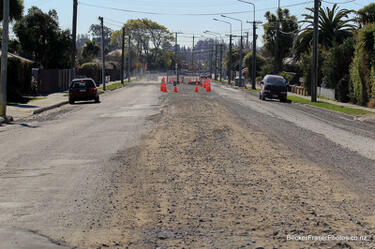 Photograph captioned by BeckerFraserPhotos, "Avonside Drive, near Kerrs Reach (classified here as residential red zone)". 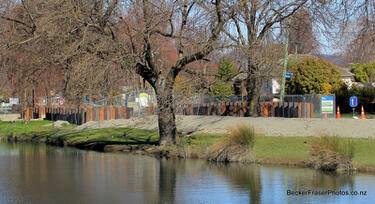 Photograph captioned by BeckerFraserPhotos, "Avonside Drive. 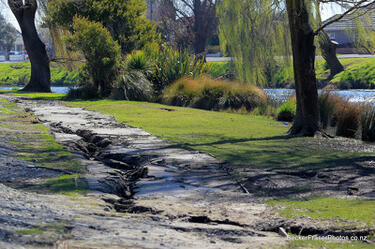 Building up the Avon River stop banks". 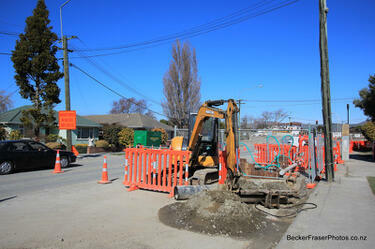 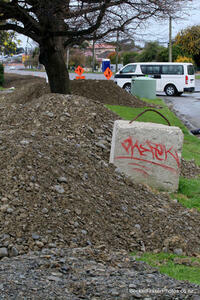 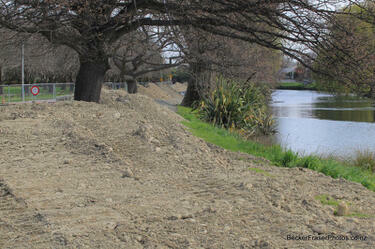 Photograph captioned by BeckerFraserPhotos, "Building stop banks along the Avon River in Avonside Drive". 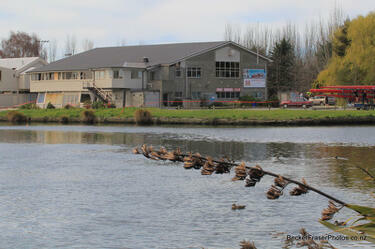 Photograph captioned by BeckerFraserPhotos, "Avon Rowing Club at Kerrs Reach".